Born in the UK, Debbie moved to Australia in 2011. She brings a wealth of knowledge and experience from her work in the UK where she ran her sports massage and rehabilitation clinic for many years before graduating from Coventry University with a BSc (Hons) Physiotherapy in 2009. 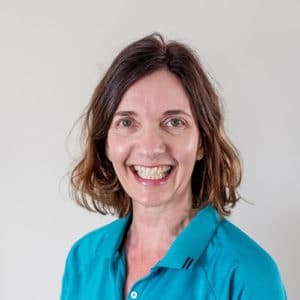 Following graduation, Debbie has worked in all disciplines of physiotherapy, but has chosen to specialise in musculo-skeletal physiotherapy where she has worked in both the public and private sector. Debbie’s love of learning, coupled with wanting to provide patients with a holistic approach to their treatment, led her to the Australian Physiotherapy Pilates Institute where she trained as a Certified Matwork Instructor, then to Polestar Pilates Australia to become a Certified Pilates Practitioner in Rehabilitation. More recently she has committed to training in the ConnectTherapyTM Series which she will complete in 2019. Outside of work Debbie likes to potter in the garden, experiment with using essential oils in the home and strives to make her family’s lifestyle eco-friendly. Debbie currently teaches PEP sessions at Lively on Monday & Wednesday mornings.